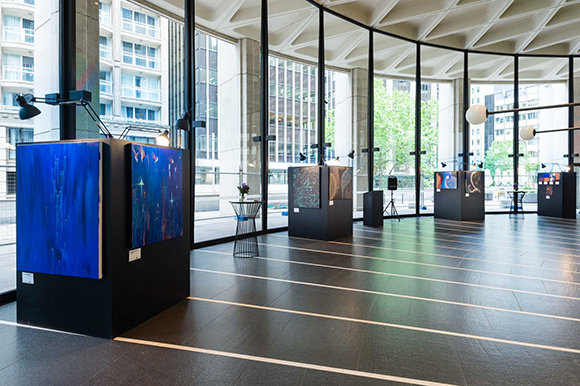 In the exhibition ‘BLUE: Metamorphosis’, Sydney-based artist Mellessa Raymond took the audience on a visual journey of devastation, reinvention and hope, detailing the challenges she’s faced for over a decade, battling brain tumours and chronic illness. 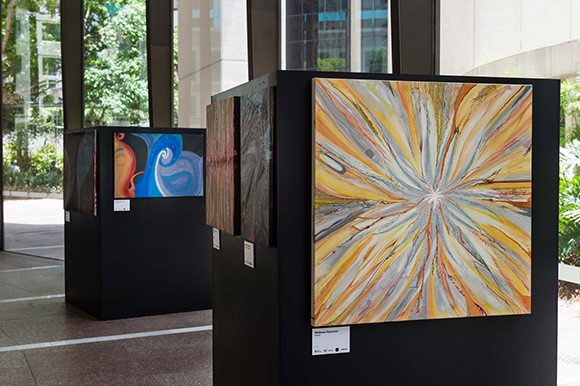 After five surgeries for three brain tumours, Mellessa faced the difficult task of rebuilding literally every aspect of her life – physically, emotionally, mentally and financially. 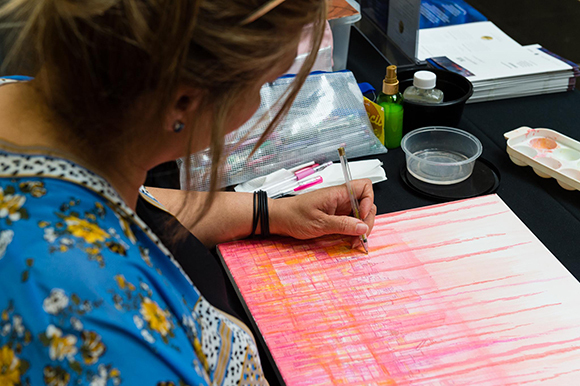 She returned to her passion of art, but her post-surgery her skills were completely different, a fact she had no choice but to accept. 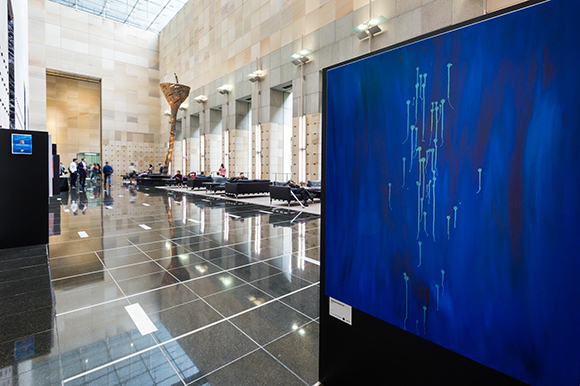 ‘BLUE: Metamorphosis’ was a reflection of her new style and spiritual growth over the past years, often informed and influenced by the colour blue, which psychologically is the colour of communication and reflection. 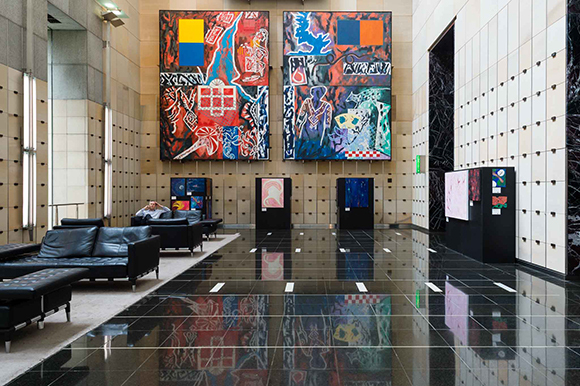 The works covered a range of themes including transformation, pain and optimism. 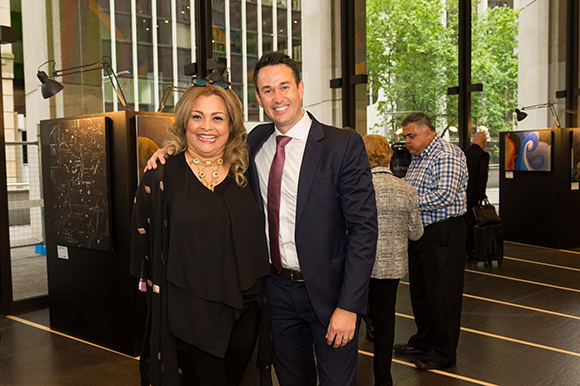 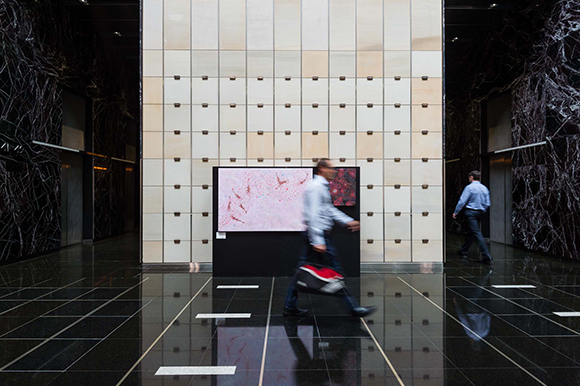 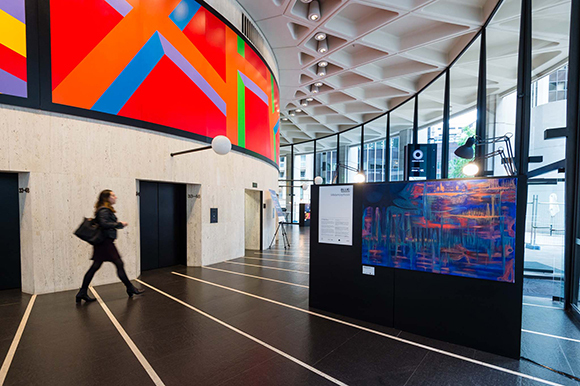 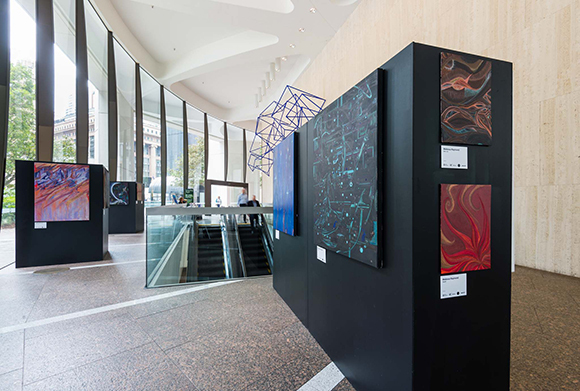 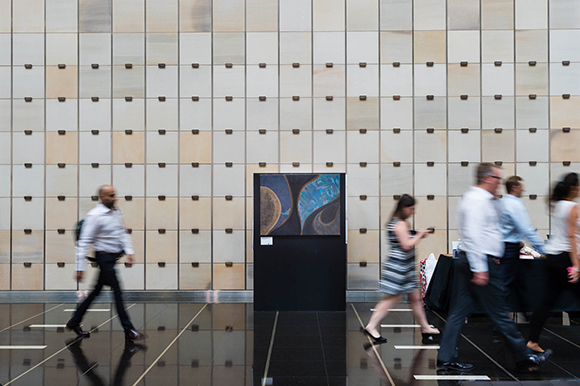 Featuring over 30 pieces, the exhibition rotated through three different high-profile Sydney CBD venues – Australia Square, One Farrer Place and the MLC Centre. 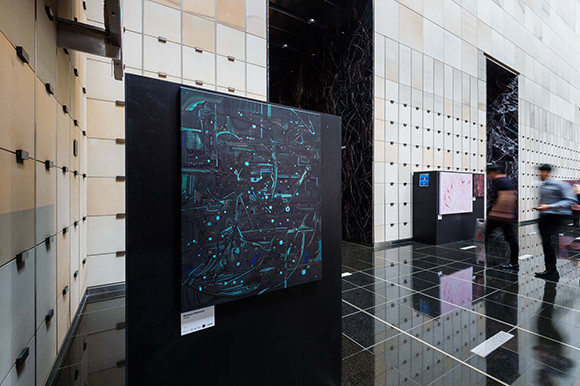 As an additional element to ‘BLUE: Metamorphosis’, Mellessa conducted live painting sessions in the lobby of the buildings each week. 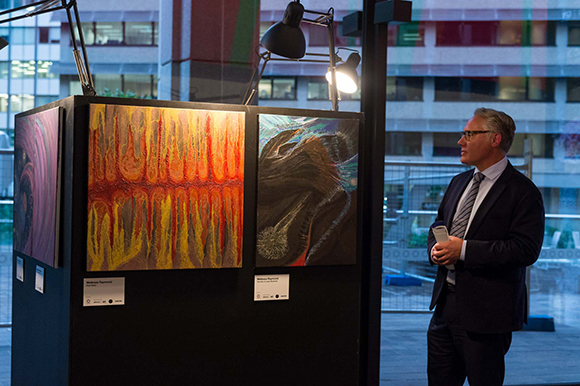 ‘BLUE: Metamorphosis’ was presented by GPT, and curated and produced by aMBUSH Gallery (an initiative of Wiltshire + Dimas Management).